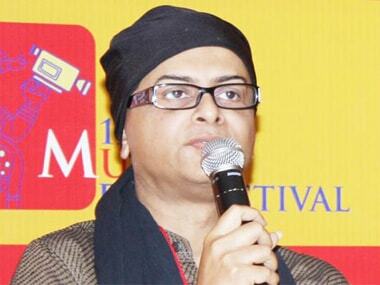 New Delhi: Acclaimed filmmaker Rituparno Ghosh, whose sudden death on Thursday has the left everyone in a state of shock, had finished filming Satyanweshi, based on popular Bengali sleuth Byomkesh Bakshi. "Wrapped up the shoot of Satyanweshi, a crime thriller in the molten glow of the pensive falling afternoon," Ghosh, who described himself as "A BAD student of Cinema" on micro-blogging site Twitter, had posted in one of his last tweets on 28 May. In his last public tweet, the National Award winning filmmaker posted: "Surprising that the brooding prince of Indian cinema - Guru Dutt, stayed in the same palatial mansion to film his 'Sahib Bibi Aur Ghulam'." Ghosh was suffering from pancreatitis and he died of a cardiac arrest in Kolkata early Thursday morning. His project "Satyanweshi", produced by Shree Venkatesh Films, features filmmaker Sujoy Ghosh as Byomkesh Bakshi. Sujoy, who had directed "Kahaani", was shocked at the news of death of one of his most admired filmmakers. He is heading to Kolkata to pay his last respects.